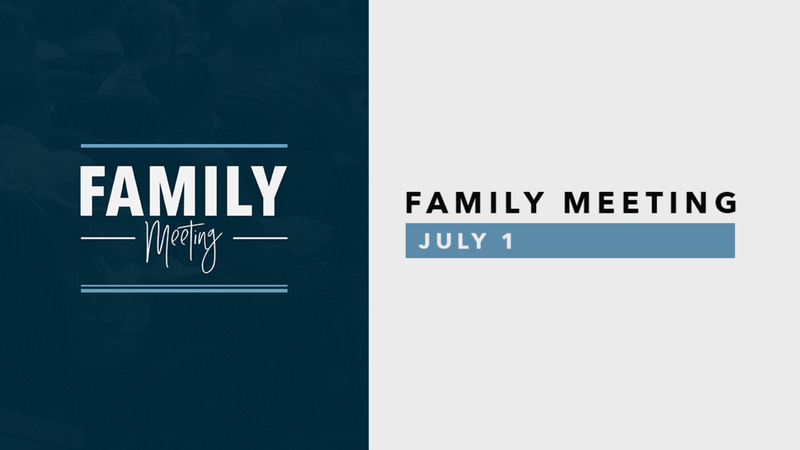 Members of Crossroads Church are encouraged to come to our yearly family meeting at our Sharpsburg Campus from 6:00PM - 7:30PM on Sunday, July 1. At Family Meeting, you will hear about where the mission of Crossroads is headed and how you can be a part of that mission. *Childcare provided for children birth – pre-k.